Microsoft's Channel 9 has posted two more sessions from last year's C++ and Beyond. 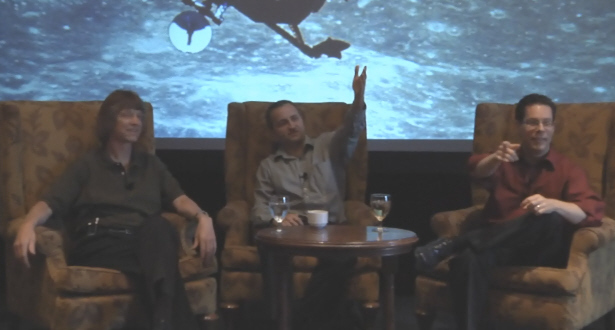 Both feature me, Herb Sutter, and Andrei Alexandrescu fielding questions from C&B attendees. Concurrency and Parallelism. This was actually put online in November, and I simply forgot to announce it here. Mea culpa. "Ask Us Anything." This was the last session of the event, so the questions were rather varied. These are the final sessions from last year's C&B that will be posted, but we're already hard at work on C++ and Beyond 2012. It will take place August 5-8 in the eastern USA. I'll post details soon -- within days.